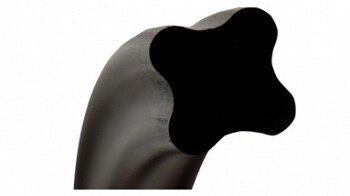 Due to their unique four-lobed geometry, grooves for Quattro Seals are different than those for O-Rings. In general, Quattro Seal grooves are deeper, as less squeeze is required to affect a positive seal. Quattro Seal grooves are also narrower due to their ability to resist “spiral failure” better than O-Rings. The following chart displays general recommendations for Quattro Seal grooves.